Restylane ® is a clear, non-animal-based, biodegradable gel that is composed of hyaluronic acid, which occurs naturally in the body. There are several types of Restylane® fillers, each of which addresses a unique cosmetic concern. Your doctor will help you decide which type is best suited to your needs and goals. Restylane® Touch is intended especially to correct fine lines and wrinkles. 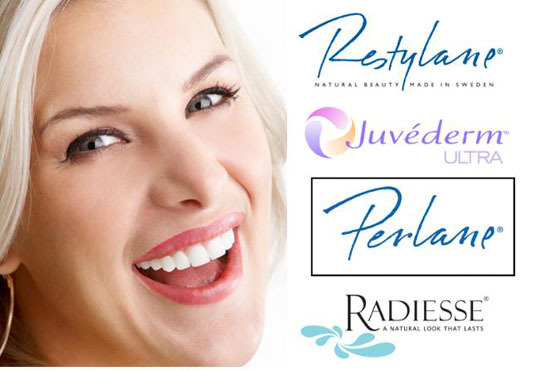 Restylane® Perlane can correct deep lines, folds, and wrinkles. Restylane® Perlane is also the Restylane® filler recommended for use in adding fullness to lips. Juvéderm® For Lips fills in lip lines and wrinkles whilst hyaluronic acid attracts and retains moisture. Results can last up to a year. ​Juvéderm® VOLUMA® with Lidocaine, replenishes lost skin volume to regain a youthful curve to the cheeks and can be used to enhance the overall shape of your face. How long will Restylane and Juvederm last? Are Restylane and Juvederm painful? What are the possible medical side effects of dermal fillers? If you’ve previously had cold sores around the mouth (facial herpes simplex) , the treatment might provoke an outbreak. Do not use dermal fillers if you are pregnant or nursing because these products have not been tested for safety in pregnancy or nursing. You may have swelling for 24-72 hours, especially with injections in the lips. The first time you try dermal fillers, avoid planning social events for 48 hours post-treatment. After the treatment some common injection-related reactions might occur, such as swelling, redness, pain, itching, discoloration and tenderness at the injection site. These typically resolve spontaneously within 2 to 10 days. 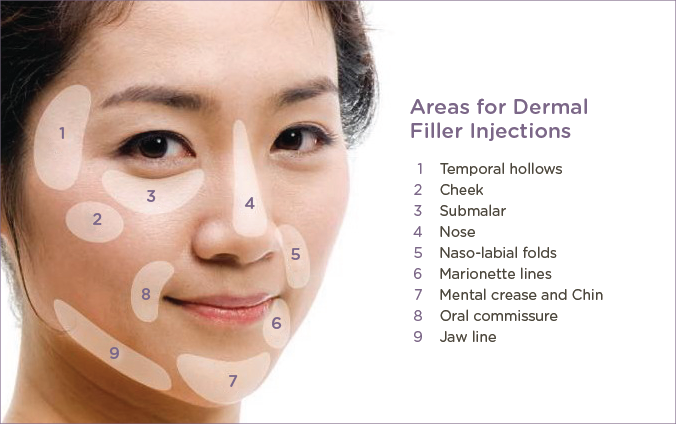 The results from dermal fillers can last 2 to 9 months. The longevity of these products is variable and each individual may obtain a different result. The use of anti-inflammatory drugs or aspirin will almost always cause bleeding or increased bruising at the injection site.